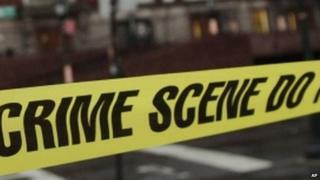 The founder of a $200m (£130m) hedge fund, Thomas Gilbert Sr, has been shot dead in his flat in New York City, police say. His son, Thomas Gilbert Jr, 30, is being questioned by police but no charges have been filed. Mr Gilbert, 70, was the founder and president of Wainscott Capital Partners, which was founded in 2011. He was found on Sunday in a bedroom of the flat on Beekman Place. A gun was found near his body. Wainscott focuses on the biotech and health care industries and reportedly made a 25% return in recent years. The younger Gilbert was handcuffed at his own apartment and brought to a local police precinct for questioning several hours after his father was found, according to local media.